I’d hate to have a closed hand in this line and not realize it! Well, at least we know that. 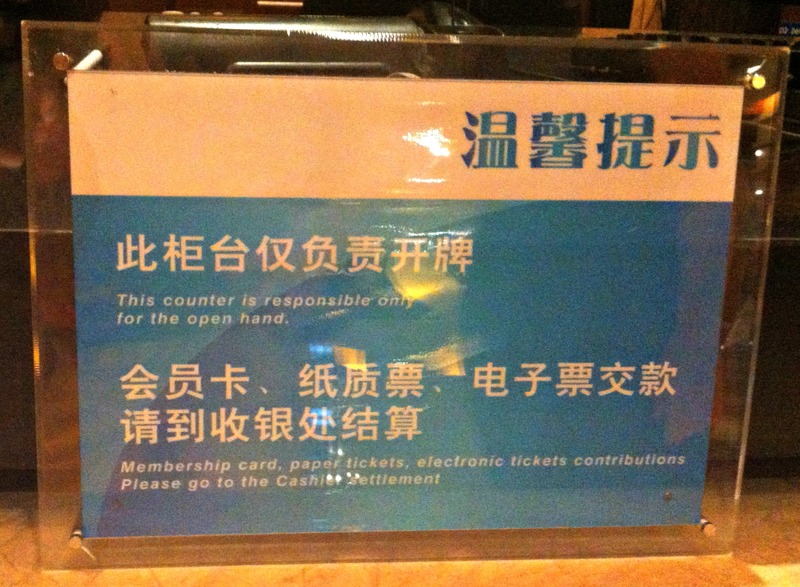 And, it is good to know that this counter is responsible only for the open hand. Because we’d hate to have waited here for an hour or two and then realized we only had a closed hand. Since we know that if we only had a closed hand we’d have to go to another counter that is responsible for that type of hand. And once we waited there, they’d tell us that we actually have a semi-closed fist, and not even a closed or opened hand, and we would have to go to an other counter, in another office, in a different part of Beijing, to have it opened and examined. At that time, the counter that is only responsible for the open hand would have closed and we’d have to start all over again. Lesson to the wise: Always make sure your hand is open and you are at the counter that is responsible for it. 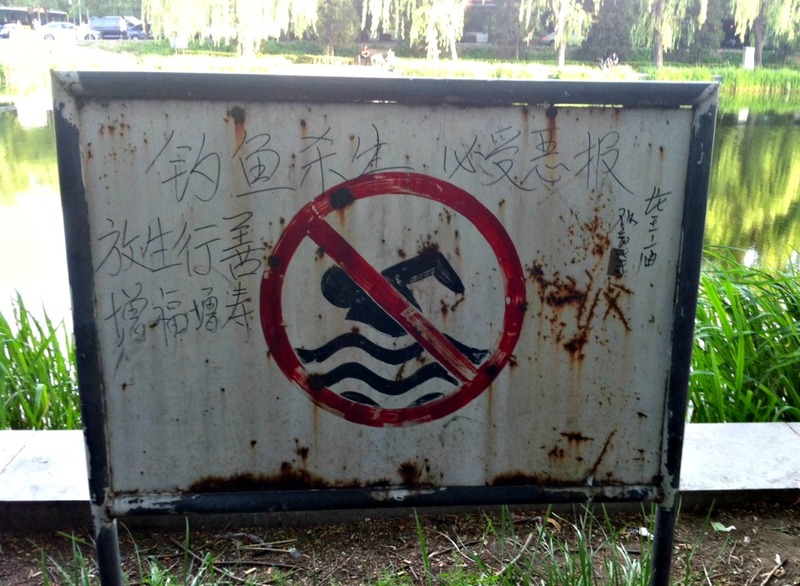 Day 372 in Beijing: No Horses. 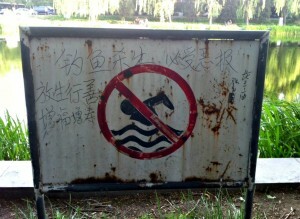 No horses or no swimming? Either way, I’m staying out of the water! 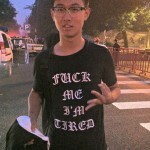 This isn’t actually Chinglish but I’m going to categorize it as Chinglish anyway. It’s my blog and I can do what I want. This is actually a sign that shows that swimming is prohibited. As you’ve seen from my blog, people swim here all the time. I don’t think you could pay me enough to get in this water. Maybe the old timers have built up a resistance to it but I’d be heading for every antibiotic available if I fell into this canal. It is very nice to walk by but swimming is a different story. 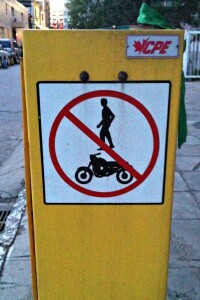 We looked at it and started laughing and agreed that it seemed to be a sign that could be interpreted that way. Honestly, if I was a horse, I wouldn’t want to be allowed in this water either so maybe that is what is meant by the sign. By the way, we see horse drawn fruit and veggie carts around this area about once every few days. It is always fun to see horses cruising around a city of 25,000,000 people. It reminds us of how, until recently, that was the major mode of transportation in China. Day 370 in Beijing: Viagra By Another Name Would Still Be A Blue Pill. Viagra! Get your Viagra here! This is a picture from a local pharmacy. Most of the pharmacies here are not in big hospitals or big box stores like Walgreens, Costco or Walmart. They are in tiny little pharmacy stores. It is very cute and much more accessible since there is usually one every few blocks. We spied this one a few weeks ago by our old apartment. Now, we all know that Viagra is the “blue pill” that gives men help in areas that seem to be, uh, lacking. What I find interesting is that it is the only English word on the whole sign, and for that matter, the whole building, and that they have made it blue. 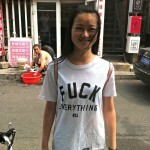 The Chinese script for it is below, also in “viagra” blue. 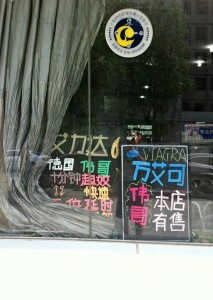 Now, I don’t take viagra, but if I did, there is pretty much no way I’d buy it for a local Chinese pharmacy. I’d go to a Western hospital or shopping area because I trust the goods that are imported much more than anything made here. Sorry, just a fact because the testing and compliance issues seem to be very lax. Jill and I have taken flu and cold medicine from the local pharmacies and they seem to be, at best, half the strength of the cold and flu meds we’d have back in the USA. Also, these are made “under” the name of the same cold and flu meds in the States but one never knows if they are “really” made by the same companies outside of China or not. When it comes to health, it pays to pay for the best and stay away from possible knock-offs. Just my humble little opinion. 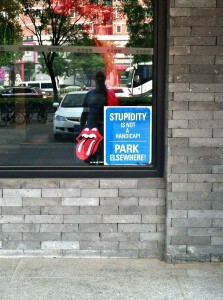 Day 357 in Beijing: Stupidity Is Not A Handicap. 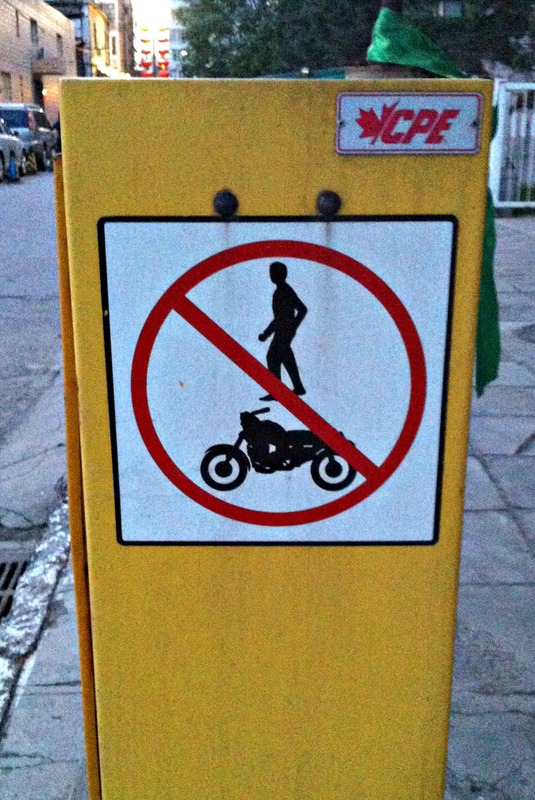 But writing parking signs in English is one, while living in China, pretty much is one. I have to admire their use of correct English. And I have to admire their opinionated statement. 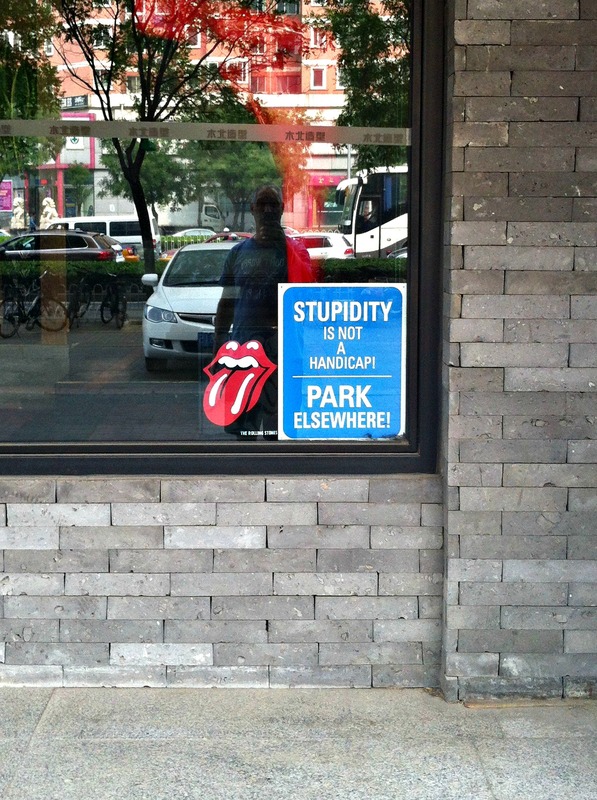 I also have to really admire their “Rolling Stones” lips and tongue beside the parking sign. I am not sure the parking sign will do a lot of good though. 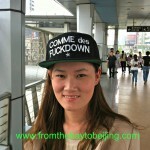 Being that most the people living in China don’t really speak English. And, most the people in China don’t really drive. The people in China drive cars. Lots of them drive cars. They are just horrible drivers. It is seriously the most terrifying place to be in a car that I have ever visited. 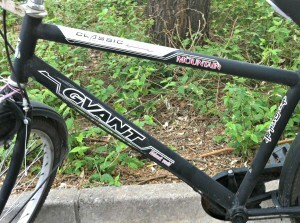 I’ve traveled a good amount and people in China seem to think that their cars are the same size, dimension, and weight as a bicycle. Therefore, they try to squeeze them into spots that no sane person would ever try to fit them into because the laws of physics don’t seem to have been applied regarding driving in China. I have seen car crashes, traffic jams, and totally crazy driving events that I could never even have imaged before coming here. So, as much as I admire the sign, I have my doubts as to if it will have any effect at all. 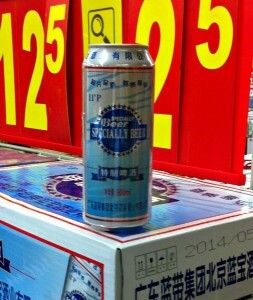 Day 355 in Beijing: OY GVANT! You want to ride a bike? Are you meshuganah? Not sure if you all know the Yiddish saying of “Oy Gevalt” or not. “Oy Gevalt” means to basically accentuate a comment or statement. So, in case you didn’t know, Yiddish is truly one of the most hilarious languages around, in my humble opinion. My grandmother, Evie, used to speak it. Well, let me rephrase that, she used to swear it, when we kids would do something annoying. 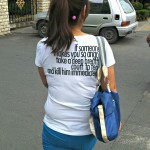 She would also clench her fist and bite her thumb. Yes, this kind of logical response to anger and frustration is a perfect way to deal with it. It is also why I’m a therapist. Anyway, this isn’t quite “Oy Gevalt” but it is pretty darn close. I wonder if this is just the Yiddish version of the Giant bike. 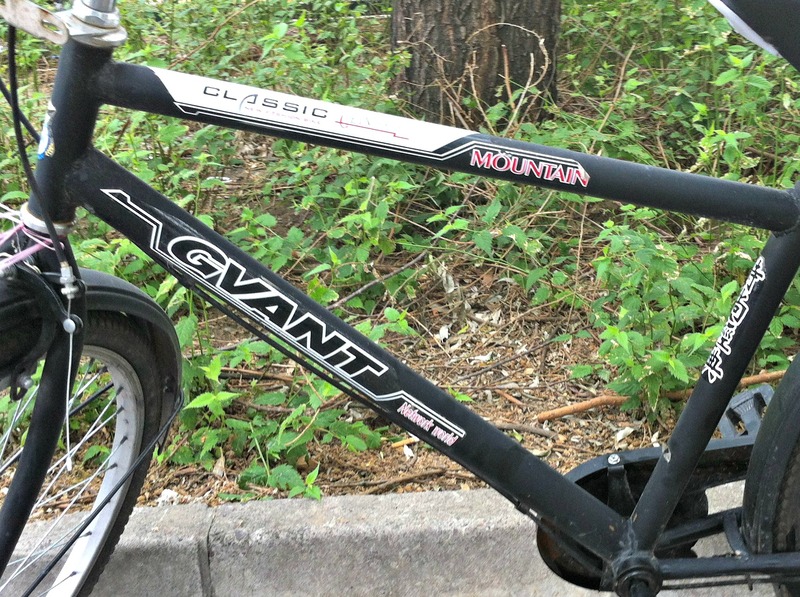 At this point, for your information, I’ve now found 5 different spelling of “Giant” bikes in China. That is pretty impressive that they can misspell such a simple word and do it so consistently. 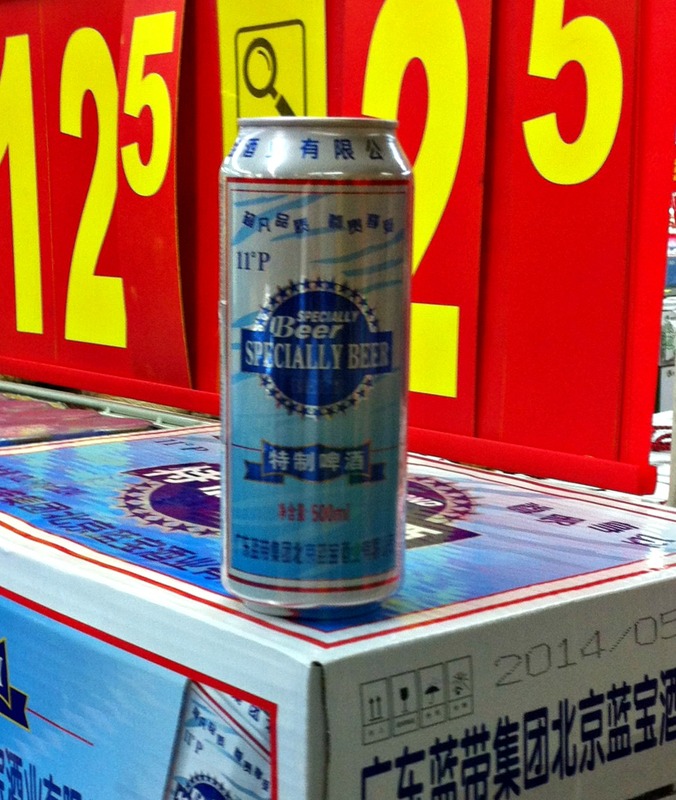 Day 352 in Beijing: Unclear On The Concept. After Jill and I finished her health check, we walked outside and started looking for the bus back to the Wudaokuo subway stop. 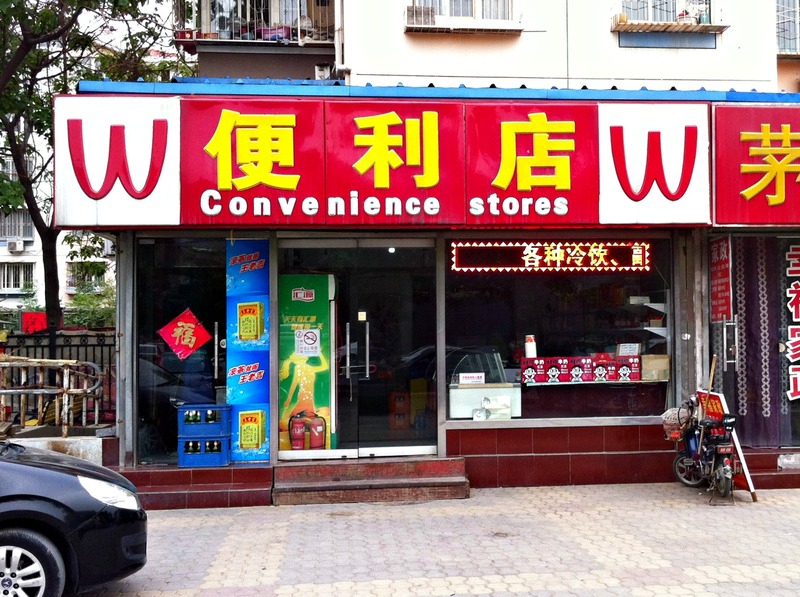 As usually happens, here in Beijing, a sign caught our eyes and we started puzzling over it. Now, I’m not sure if you’ve seen Eddie Murphy‘s Coming To America, but this reminded me of it since one of the characters in that movie has a restaurant named, “McDowell’s” and claims it is nothing like McDonalds also though it has the same color, same food, and same logo. McDowells claims that he started all of the marketing and McDonalds was just another restaurant that happened to be have the same ideas as he did. 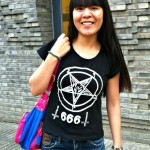 Well, in china, as so often is the case here, someone tried to copy this American icon and seemed to be unclear on the concept of what it actually is supposed to represent. It is things like this that make Jill and me alternate between wide-eyed surprise and utter laughter while shaking our heads in amazement each and every day we are here. 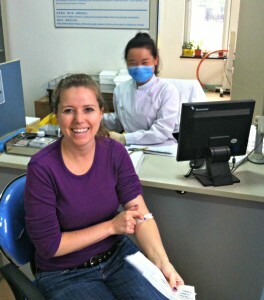 Day 348 in Beijing: Health Check, Part 2. 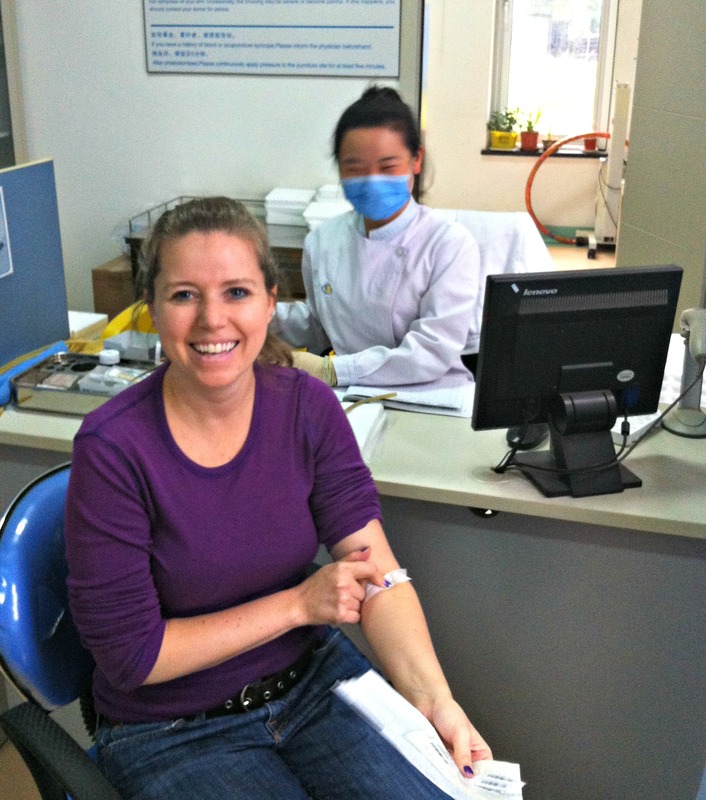 Just after Jill had her blood taken by the nice lady in a mask. Jill and I finally arrived at the health check building and went in to it. 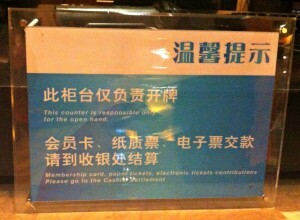 There was a massive sign, in English and Mandarin, explaining what to do and how to go about getting your check up. We started at the check in desk, since we are smart like that instead of going somewhere else first, and signed in. They took her paperwork, checked her in, and sent her off to have her blood taken. She did this quickly, with me taking pictures and no one seeming to mind that, which surprised me because most government places in China won’t allow you to take pictures since they want to keep things understandably private. Especially regarding a medical office and medical check ups. I decided I’d follow Jill around and try to document the experience and let people know what they are up for and what to do if they ever need to do this health check.